Food Truths from Farm to Table | Michele Payn, Cause Matters Corp.
Michele Payn is an author and media resource who speaks from the intersection of farm and food to bring clarity and common sense to the grocery store. Known as one of North America’s leading advocates, Payn is passionate about getting back to the truth in food raised the right way, by the right people, for the right reasons. She is an in-demand media resource whose work has appeared in USA Today, Food Insight, Food & Nutrition Magazine, Grist, and others as well as on NPR and CNN. 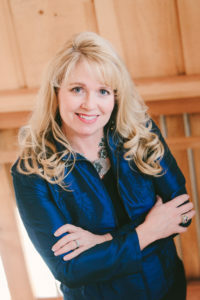 As a Certified Speaking Professional, she has addressed hundreds of groups, such as Dietetic Associations, Universities, Genome Prairie, Michigan Vegetable Growers, Farm Credit Council, Apple Processors Association and Farm Bureaus, helping thousands of people around the world translate farm to food. 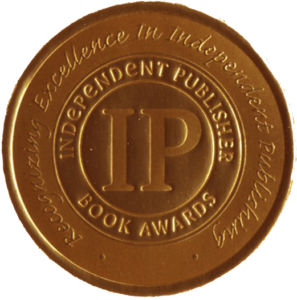 Payn is also the author of No More Food Fights! 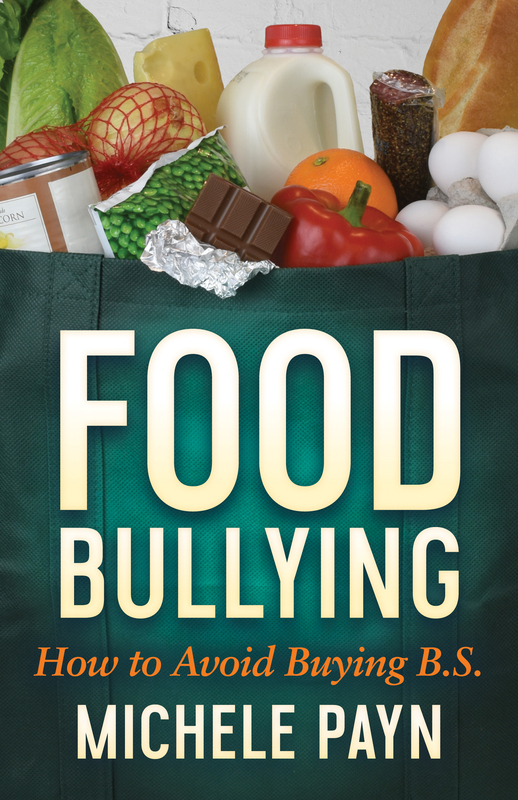 Growing a Productive Farm & Food Conversation and Food Bullying: How to Avoid Buying B.S., a new book arriving 11/5/19. Everyone eats. Yet two-thirds of the U.S. population lives in cities, with many of these individuals never having visited a farm or ranch where their food is produced. Michele Payn's approachable writing connects those two worlds to answer your toughest questions about food. What is the only “food” on your dinner table that does not contain hormones? Why do the vast majority of Americans believe any food with DNA should be labeled? How can animals raised for food also be treated with dignity? Is it true that a typical serving of broccoli has more estrogen than a serving of steak? Why is more than 40 percent of food wasted in the United States? Readers will gain insights from a food expert who offers a viewpoint that stands in stark contrast to the typical sensationalist and often negative perspective on fashionable food — accurate information that will help you to better trust the intentions and process in farming and ranching. The revelations in this book, an Amazon #1 best seller and a hot new release, will simplify food shopping, reduce guilt about being a consumer and give you the freedom to enjoy your food again. Why do you need this best selling book? Turns food confusion into clarity on how to buy, prepare and serve safe and nourishing food. Offers an informed voice of reason in the overly sensationalized food and health arena. Arms food buyers to make decisions based on their own social, ethical, environmental and health standards. Provides eye-opening insights why parents should not feel guilty if they can’t afford the “right” label or food. Check out bonus materials, including the downloadable list of 25 food truths. You can also watch Food Truths from Farm to Table contributors in conversation with Michele on video here. If you're with the media, please visit the newsroom. This book is for the 7 billion people who eat each day. Michele Payn highlights how family farms are fighting food waste, hunger, and other issues, and the solutions they're coming up with in fields across the world." Smart grocery shopping and healthy eating shouldn’t require a science degree. Food Truths from Farm to Table guides you through the grocery store and saves you time. If you’re looking to shop and eat with less guilt, read this book. Michele’s 25 food truths will give you the freedom to enjoy your food again." Buy, prepare and serve healthy, affordable food with confidence after reading Food Truths from Farm to Table: 25 Surprising Ways to Shop & Eat Without Guilt. This book is must-read for anyone interested in food, nutrition and health!" In Food Truths from Farm to Table, Michele Payn cuts through the incredible noise that surrounds our food choices to provide clear, insightful answers to some of the most common questions about food. Organized in a creative way, she provides a highly informative ‘guide book’ to the grocery store, bringing both current research and insights from those who produce our food to unpack some of the most vexing questions and widespread myths about food. This candid and common sense book will help you be a much more informed consumer and take the shame out of the food choices you make." This is an important topic for anyone who eats! Michele Payn’s writing makes tough topics approachable; she gives an insider’s look at all types of farming and ranching. Food Truths from Farm to Table will give you reasonable answers to your biggest food questions." This is an awesome book that provides usable information about food, farming, and nutrition. Michele Payn’s insight is contrarian to the sensationalism of fashionable food, but will help you take the drama out of food choices. 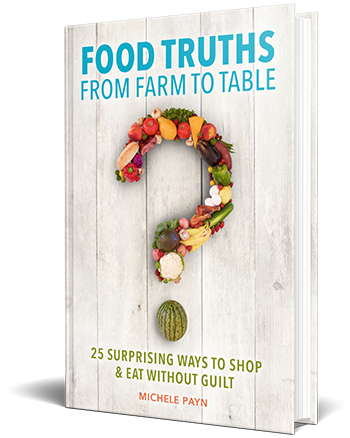 Food Truths from Farm to Table an important read for every dietitian, grocery shopper and anyone who wants to enjoy food." Everyone can benefit from a clearer understanding of why farmers and ranchers produce food the way they do. Michele Payn takes readers inside farms and ranches to answer questions about the food issues on consumers’ minds. Food Truths from Farm to Table provides a much-needed, well-rounded and accurate perspective on today’s farming and ranching." As a dietitian for grocery store chain, I know this book will not only help answer questions our customers have about the food they see on our shelves but also be a valuable resource to other supermarket dietitians throughout the country. Michele Payn gives practical insight to address myths around food, nutrition and health. Read Food Truths from Farm to Table if you want to bring clarity to your food experience, based on science and real-life experience." An engaging defense of modern agricultural production practices." Food Truths from Farm to Table provides a transparent window into on modern day agriculture so you can better know the people and practices behind your food. Michele Payn has a unique ability to connect the values of farming and food buyers through story and science." A very refreshing read, as the book exemplifies critical thinking skills needed in any discussion about food. Michele Payn offers readers an inside look at farmer's abilities and initiatives, as well as the technologies and knowledge of many others in producing safe and affordable food. 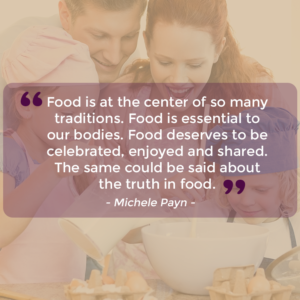 Her personal experiences and transparency build trust - and when combined with Michele’s extensive research, these food truths become real to readers. This book will help consumers sort through how to make the best food choices for their families." 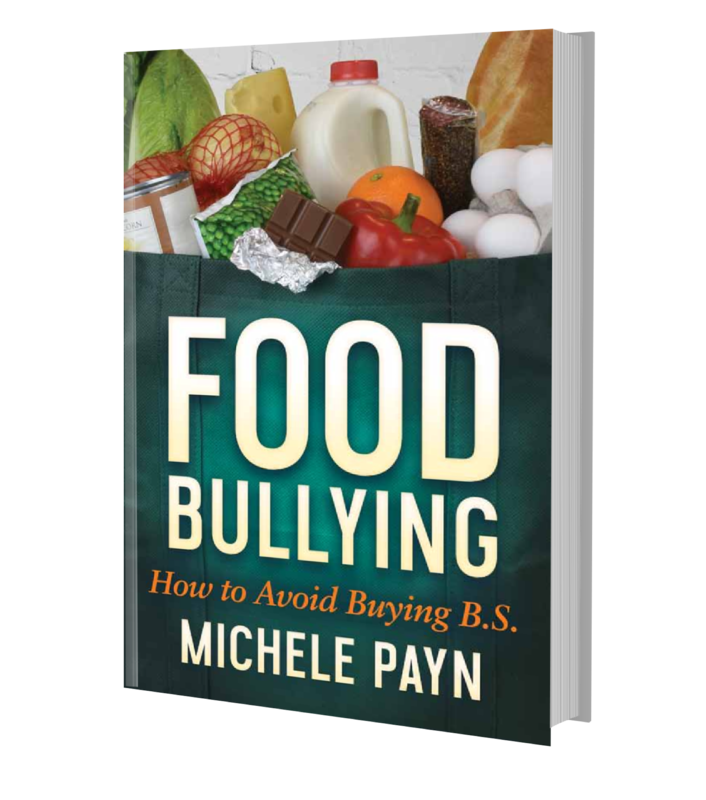 Get a sneak peak into Michele’s newest book, Food Bullying, to upend the way you think about food.